Whatever's on the menu, serve it with a side of style. A dollop of butter, portion of catsup or side of salsa will all be perfectly portioned and climate controlled with this cleverly designed duo. 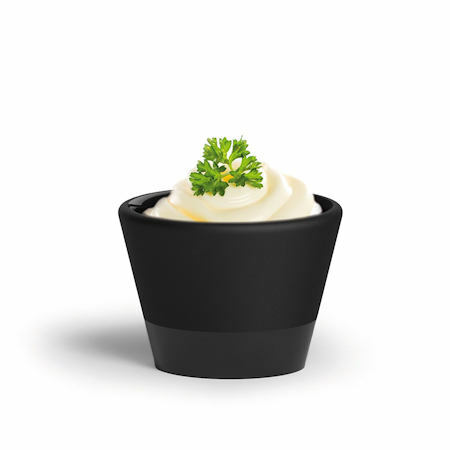 Simply soak the mini serving cups in water for a few minutes before filling them with your favorite sauce or condiment. The water will evaporate from the ceramic surface and naturally cool the contents. 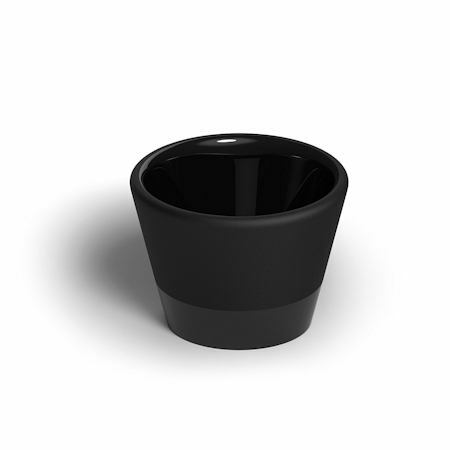 The matte black exterior also acts as a chalkboard, challenging you to make these little clever cups even cuter.